Nowadays, generating traffic to a website is one of the biggest challenges most website owners, bloggers and marketers face. Nevertheless, it’s also one of the most valuable assets a website owner could ever get. Without traffic, you simply feel handcuffed. Whatever you’re trying to sell or promote on your site, you won’t be able to do it without generating quality traffic. Hence, with the help of industry experts, I’ve created this post as an attempt to give you some insightful information as to how you should go about driving quality traffic to your site for the purpose of converting visitors into loyal customers. For this post, I’ll assume that you the basics covered (i.e. you have an active blog section on your website). It’s worth noting that some of these strategies will not work for every business in every niche. Feel free to jump to any of the sections or read the entire post (Btw, it’s over 6,500 words long, so I doubt you’ll ever finish reading it ;). Get Social – Make sure to use social media channels to promote your newly published content. Create 10-20 different headline/description variations for your piece and cross-post it during a 2-week period. Try Social Ads – If designed & optimised correctly, ads on Facebook & Twitter can be extremely effective yet affordable. With a tiny budget of $100 and precise targeting, you can get 100s of website clicks, shares and likes. Make Use Of Stumble Upon Ads – As well as submitting your posts to Stumble Upon, you can make use of their advertising platform. It’s a fast and affordable method of driving traffic to your blog post. Use Google Adwords – A traditional yet a very practical and effective way to drive traffic to your website. You will only pay when someone inputs a particular keyword and clicks on your ad (also known as PPC). Smart Retargeting – Implement Facebook or Google Adwords retargeting to show ads to people who’ve already visited your website or performed a particular action on your site (e.g. purchased a product or signed up for a newsletter). Test Facebook & Instagram Live – Deploy social live streaming to reach new audiences across social networks and drive attention to your website. Learn about the undiscovered power of Facebook Live here. Make Your Content Shareable On Reddit – Although Reddit doesn’t allow self-promotions, you can get your content shared by other people. An interesting piece of content can attract 1000s of new readers and drive traffic to your site. Invest In Content Discovery Platforms – Make use of paid content discovery networks like Outbrain and Taboola. These platforms promote your content on high authority publications, including CNN, Business Insider and Time. 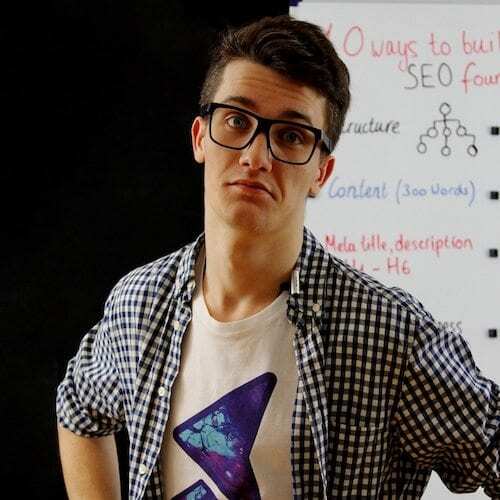 Don’t Forget About On-Page SEO – Don’t neglect the power of internal optimisation. Optimise your content for search engines, include semantic keywords, add compelling meta descriptions, meta titles and headings, include image alt tags, etc. Earn Backlinks – Don’t forget about the power of backlinks and off-page SEO – one of the most powerful ranking signals. Use tools like OSE and BuzzSumo to identify link opportunities, conduct manual outreach and create content that attracts inbound links. Don’t buy or exchange links! Demote Spammy Links – If you ever practised any spammy link building techniques or concerned about your current backlink profile, make sure that you carry out a thorough audit of your links and remove any that look alarming. Technical SEO – Functionality is a backbone of any website. Make sure your codes and scripts are clean and tidy, redirects are in place (if used at all), robots.txt file isn’t blocking any important pages and/or files, sitemaps are generated and submitted to search console, meta robots aren’t messed up, etc. Implement Schema – Use schema microdata to format your website’s content, thus making it easier for search engines to crawl and index your pages. It also gives you the opportunity to appear as a ‘rich’ snippet in search results. Focus On Headlines – Work on creating compelling and attractive headlines. These are vital for catching the eyes of your potential visitors and increasing CTR (Click Through Rate). While these should include your targeted keywords, you should mainly focus on catching searcher’s attention. Brainstorm headline ideas using these tools. Use Long-Tail Keywords – Long-tail keywords are specific search phrases that usually contain 3-5 words and carry a particular intent. On an individual basis, they account for less search volume than broad keywords but still make up the most of the searches. Long Tail Pro will help you find the best long-tail keywords to target. Carry Out Keyword Research – Make sure to conduct a thorough research to identify the most relevant keywords to target. Look for low-competitive, long-tail keywords with relatively high search volume. Tools like SEMRush, KWFinder and Moz’s Keyword Explorer will do the job for you. Create Long-Form, Detailed Content – Focus on creating superior, highly-detailed, long-form content. This method is also known as a skyscraper technique and focuses on finding link-worthy content, creating something better and then reaching out to the right people for the sake of link-building. Focus on the ‘right’ content – Don’t just create content for the sake of just publishing something on your blog. Focus on the content that is relevant to your audience, offers value and educates your visitors. Publish More Frequently – The idea of publishing a 1,000-word blog post once a month will not carry your site too far. Focus on creating 3-4 (or even more) quality, well-researched and detailed blog posts a week, and you’ll see your traffic skyrocketing. Guest Blog – As well as publishing content on your website, it could be worthwhile contributing articles to external, high-authority sites like Forbes, Business2Community, The Next Web, Huff Post and more. This strategy is an excellent way of earning quality backlinks, generating referral traffic and establishing yourself as an expert in your field. Accept Contributions – Apart from contributing your own content to external websites, allowing guest bloggers to write for your blog is an excellent way of driving traffic to your site and reaching a broader audience (especially if you can get an influencer to write a post for your site). 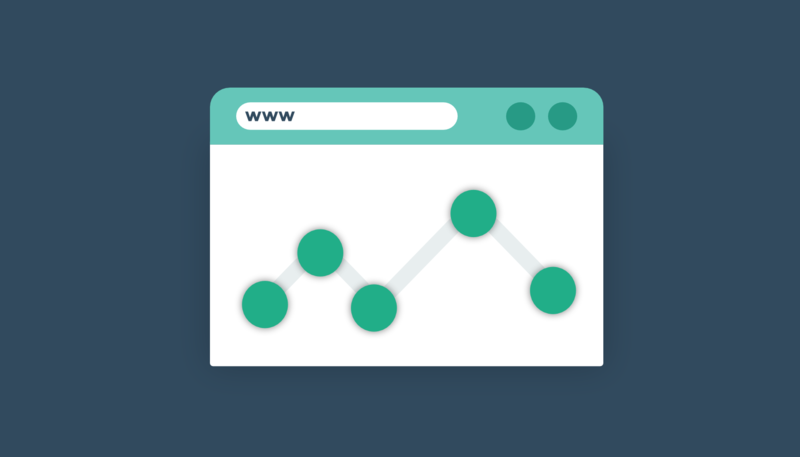 Monitor Unlinked Mentions – Use tools like Google Alerts or Mention to monitor unlinked mentions of your website. Then, reach out to these people politely asking them to add a link back to the source (i.e. your site). Not only this will help you build a better backlink profile, but will also increase your referral traffic and brand recognition. Post On Medium – Medium is a massive blogging platform that allows you to read, write and share content. You can use their ‘import’ feature to share an article that you’ve already written on your blog. It adds a handy “rel=canonical” tag that avoids duplicate content issues. Medium is great for reaching a broader audience and driving traffic to your website. Update Your Posts – Far too often, the most valuable content is hidden behind the pages of your own content. Make sure to update your old posts on a regular basis by adding new information, updating statistics and correcting mismatches. If you feel like some of your posts are too short – try to merge them. Use HARO – Help A Reporter Out is a great platform that connects you with journalists who seek expert help. Take a couple of minutes to send a tip and get cited if accepted. Great way to build powerful inbound links, driving referral traffic and getting your name out there. Interview Influencers – People trust influencers. If you get a chance of interviewing an influencer in your field, make sure to market the hell out of that interview. Create Top Lists – Top lists can work like a charm if you put some thought into it. Create lists around the best tools, sources and websites. Produce Video Content – Everyone is literally obsessed with video content. Why not create a video version of the existing content where you simply talk to the camera and then post it on YouTube? Create Visuals & Infographics – People perceive and process visual data much better and faster than written content. Hence, if you can put your raw data into a creative chart or infographic, it’s likely to get shared more. Repurpose Content – Reach a broader audience by repurposing your existing content into interactive visuals, infographics, slide decks and videos. Then, share it across relevant platforms. Learn more about the whys and hows of repurposing content. Write Expert Roundup Posts – In essence, roundup posts consist of contributions made by multiple experts. In fact, this post is an example of a roundup post. Generally, this type of content gets more shares and attention. Be Consistent – Consistency is key! If you’re not patient with your work – real results will never knock on your door. In order to generate a decent amount of traffic to your blog and earn awareness, you have to be consistent with your blogging efforts. Link Internally – Although you should never abuse this strategy, internal linking is essential for satisfying users by leading them to relevant sources and further reading material. Not only this could contribute to your overall search rankings, but also increase pageviews. Instil Email Marketing – Never underestimate the power of email marketing. Collect emails using lead magnets, sign-up widgets and free guide downloads. Email marketing providers like Get Response, Aweber and MailChimp can help you achieve this. Use Email Signatures – Include details of your website and social media profiles in every email you send. When you get to the point where you have to answer 100s of emails every single day, this simple hack can come in quite handy. Get on Quora & Other Q&A Communities – The key to building a powerful community on your site is by helping others. 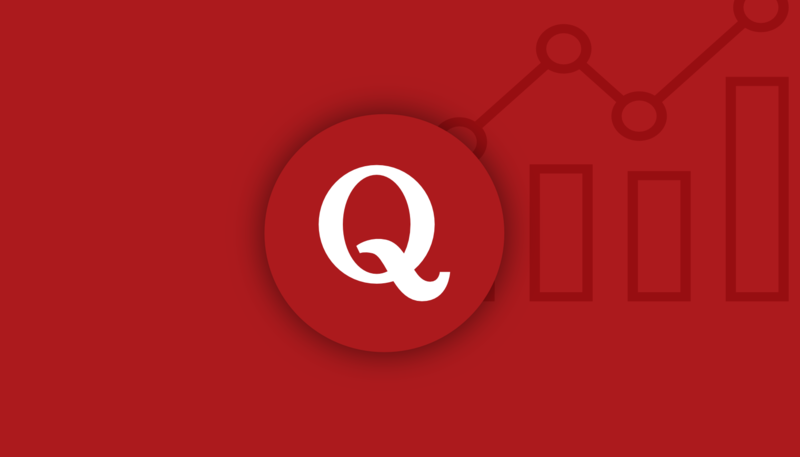 Participate in Q&A forums like Quora by answering questions and providing practical advice. People will appreciate your effort and will come to your site for more. Focus On Web Performance – Don’t neglect the importance of having a well-performing, lightning-fast website. It’s worth noting that 40% of user will abandon the site if not loaded within 3 seconds. In addition, website speed is a ranking factor and determines the amount of traffic your site could get. Test your speed with tools like Pingdom or GTMetrix. User Experience – User satisfaction is a determining factor when it comes to traffic and engagement on your website. If your site is stuffed with intrusive interstitials, has self-playing videos and is hard to navigate, users are likely to bounce back and look for answers elsewhere. Mobile-Friendly Website – Mobile search officially surpassed desktop back in 2015. Hence, it should come as a no-brainer that at least 50% of your prospect visitors are using mobile phones to search for information. Therefore, if you don’t have a decent mobile version of your site – you’re missing out! Incorporate Accelerated Mobile Pages – If you’re running a high-traffic blog or perhaps a media publication, implement AMP to give mobile users an immersive, lightning-fast loading time. Comment Marketing – There is a huge distinction between ‘comment spamming’ and ‘comment marketing’. Present yourself as an expert, provide value and never comment for the sake of promoting your products or services. Respond To Comments – The biggest mistake you can ever make as a website owner/blogger is ignoring your existing readers. Keep your visitors engaged by participating in the comments section, answering questions and asking for suggestions. Use Content Aggregators – Just like using Reddit; this strategy should be used with caution as it often gets spammed. Submit your content to aggregators like Alltop to increase the chance of it being discovered by others. See What’s Trending – Make use of tools like BuzzSumo and Google Trends to find out trending and most shareable content. This will help you to catch the momentum and create content around a trending topic. Start a Podcast – Impart the knowledge of a particular topic by running regular podcast sessions. Whether you’re talking to yourself or interviewing an influencer, a podcast can be a great way to grab attention and drive an influx of traffic to your website. Host Webinars – Similarly to podcasts, webinars are great for educating your viewers and sharing knowledge with others. Platforms like GoToWebinar can help you achieve that. Create Giveaways & Contests – Contests are great for generating social and website engagement. For a tiny prize and smart advertising, you can drive a tonne of social engagement and website traffic. Platforms like Gleam will help you with that. Build a Community on Your Site – Every successful blog has its own community. Take a look at Smart Passive Income, ProBlogger or Moz. They all have a massive community of like-minded bloggers and marketing experts who strive to learn something new every day. Therefore, you should be focusing on building your own community from day one. Build a Tool, Plugin or Theme – If you’re an experienced developer, this one should come as a no-brainer. Creating a useful tool or a plugin can drive loads of traffic, awareness and links. In addition, this could easily become one of your income streams. Create Slide Decks – Design a beautiful presentation and publish it on platforms like SlideShare, SlideBoom and SlideSnack. If your slide deck gets to the homepage of SlideShare, you are sure to receive tonnes of traffic. Publish an E-Book or Guide – One of the greatest ways of generating buzz around your business and/or website is to publish a comprehensive ebook or guide. Not only you can make an extra penny, but also attract the eyes to your website. 1. If you already have content: First things first. Analyse your content’s traffic, both where it came from when it was first published and where its current traffic occurs. Define a range of topics that are evergreen (they don’t lose relevance fast), and try to find articles on these subject matters within the already existing content. What you need to do to optimise that content is to add extra keywords and update the text. Moreover, you should also reconsider you linking, and add some links if there is a space for that; for instance, the old but relevant article can appear on the main page, if there is a link to it from old or new content pieces. Also, don’t forget to give the article a second breath via promotion on Social Media. 2. If you have little or no amount of content: What you need in that case are fresh ideas. The most reasonable source of new ideas can be keyword research, and the ones that carry enough informative value can be chosen as a subject matter. For instance, a content piece on how to clean your shoes or how to give up smoking is what you can consider an informative article. Afterwards, you can analyse a set of keywords and find out which search queries appear within SERP features and which ones don’t. Make sure you use markup from schema.org, fill in the meta title and meta description so that they match the search query. These seemingly easy manipulations would increase your CTR in the search results and lead to a higher traffic volume. Additionally, you should optimise your content for the high-quality queries, and even though it is also beneficial to use synonyms, don’t disregard targeting semantically related, low-volume queries in the text. 1. Do keyword research: Use a mix of both informational and transactional keyword phrases to guide web visitors through the buyer’s journey. They need to know what their problem is, how you’ll solve it, then they need the specific service and product information. 2. Mark up your content with schema.org: This makes your content easier for the search engines to read and understand. If you mark up product information, it’ll stand out more in search results. 1. Create a niche Facebook group and become the influencer in the group: When you create a niche Facebook group and invite members from other groups related to your niche, you’ll quickly grow a nice following of users. Post informative stuff, be helpful and be the authority. Then post your website’s awesome content as advice. 2. Growth hack your Twitter account: Use a tool like Followerwonk which shows you who is following your account and who isn’t, spend ten minutes a day to copy followers from influences in your niche. To keep growing your account, you need to ruthlessly unfollow anybody who is not following you. In a few weeks, you’re bound to grow your account into thousands of followers where you can share your content. 3. Create a free online tool: One of best ways to bring in free traffic and a great source for incoming links is if you create a free tool on your site. Figure out an idea of something which is helpful for your niche, then create a tool and post it on your site. Reach out to a few influencers to tell them about it – you’ll get plenty of shares and links. Use the tool to funnel authority to your site. 1. Internal Linking: Many internet marketers or SEO specialists if you will, who evangelising that in order to dominate the SERPs your site should have a significant amount of backlinks from other relevant websites. Well, that is absolutely true, and we’re not debating on that idea but there are a lot of website owners who failed to realise that they’re actually sitting on a gold mine of backlinks. If your website already has a decent number of pages which have already made the first page of Google SERPs, use it to link to your other pages. Those precious link juice will be passed to the other page, and gradually, it will be pushed up to the SERPs overtime. 2. Meta Titles: Apart from focusing your effort on internal backlinking, you should also consider on reviewing your page titles. Yes, that’s correct! A title tag is one of the most important factors that search engines use to identify the relevance of your site’s content. Review your HTML file and make sure that H1 tag wraps your title tag. Your keyword that you want to rank should be present in there and should have a catchy tagline to improve your site’s click-through rate. 3. Use Google Search Console: Lastly, make a habit to visit Google Webmaster Tools (A.K.A Search Console) to monitor the movement of your site in search rankings. If your site still not added to Google’s free and very useful software, then this is the time to do it. All of the above tactics will be useful once you identify what pages and keywords you wanted to optimise. Using Google Webmaster Tools helps you to identify these pages/keywords which are ranking on the second page or below SERP’s top 10 results. Use your best page to link to your low performing web pages. Review the Title Tag and make sure H1 tag encapsulates the content. Contests Culminating on the Website: One sure shot way to increase website traffic is by running contests. Boost the contest post on Facebook, launch an email campaign and push across to users asking them to perform an action on the website. The Call To Action (CTA) could be as simple as figuring out a particular product on the website – or – describing in their own words a particular product. Of course, there could be many variations of the CTA. The winner takes the product for free. This is a sure shot way to get more website traffic. Use Search Console: Go into your Google Search Console (Webmaster Tools) and select ‘Search Analytics’. Then click ‘Impressions’ and ‘Position’. Then, toggle the ‘Impressions’ title to get the most impressions first. Look for keywords with high impressions, that might be in position 10-30. Then, see which pages they relate to. Go and optimise the pages (on-page SEO) for the targeted keywords. Sometimes you will be aiming for a search term that is less valuable than one you could be ranking for (or you might not have even been trying to optimise for a search term). A similar tip just involves a few more clicks. Instead of looking at ‘Queries’, click ‘Pages’. Look for high impressions for pages that are on page 2 or 3 of the search results. (Position 10-30). These pages can be a focus of your link building efforts. You can add internal links to boost pages, and if you want to promote your content with a hope of attracting links, you can do it for content that is almost on page 1 but is still getting a lot of search impressions. 1. Jump on the blogging bandwagon: Having more keywords on your website does increase your search ranking – at least to some extent. And what better way to pack your website full of keywords than blogging. Seriously, write a blog, tie a little bow around it and send it off to the Google gods above. If they like the content of your gift, you will be rewarded. Big time. If not, keep trying. Sooner or later, you are bound to get it right. 2. Collaborate: Reach out to influences or publications in your industry and offer to write content for them. Sites such as HARO make it possible for you to connect with journalists and share your industry knowledge. In return, they will include a link back to your website, known as an external link that will boost your site’s authority and drive referral traffic. Having external links to your website signals to search engines that your site is popular and relevant. And to put it simply, search engine rankings are a bit like a popularity contest. The more popular your site, the higher your ranking. 1. Call to Action on Instagram: To drive traffic to your website, upload a contextual image as an Instagram post with a simple call to action. Even if Instagram prohibits links on a post or in the comments, there are workarounds. You can either add a link to your profile or write a shortened link (using bit.ly for example) on the image itself. Let’s take the example of a charity. You can upload a photo of volunteers building a school in Africa. On the image itself, a concise call invites viewers to donate. And a shortened link tells the viewers where to donate. 2. Quiz: Create a quiz to warm up your audience before they visit your website. The quiz will ask 4-8 questions about your website or the cause you are defending. For a charity, it will help raise awareness. For an e-commerce website, it can pre-qualify a potential customer for a discount. Or it will help your potential customer find the perfect product based on his/her answers. At the end of the quiz, the quiz redirects the player to the relevant page on your website. 1. StumbleUpon: If your website has a jaw-dropping visual piece such as a photograph or infographic, then the content discovery website StumbleUpon is where you should share such things. Between the direct traffic and the traffic you’ll acquire from those who share your work, StumbleUpon is a powerful traffic generator when used correctly. 2. Incentivized traffic: Everyone loves free stuff. Between giving away things like physical products, e-books or digital goods in which you can grow your email list and give everyone a chance to win a prize. Both of these campaigns are shareworthy on social media and can easily grow an email list for repeat visitors. 1. Targeted Facebook Ads: With demographic targeting, if you think creatively about who your audience is, you will be able to find them and present your offer on Facebook. Advertising on Facebook has consistently been one of the cheapest, highest ROI methods for all of our clients over the years. 2. Retargeting on Facebook and Google: While this doesn’t drive ‘new’ traffic, it often drives the essential traffic – those that are interested and ready to buy. You can put a pixel on your site, and then you can tell Facebook and Google to advertise only to people who have visited your site. This way, you can use free social media posts, emails, or any other promotion method to drive people to your site – without having to taint their visit with a sales offer. You can send them just to a blog post. Then, they see your ad later on Facebook, and it is credible because they’ve just read an article by you, and it makes it feel like your brand is ‘everywhere’. Powerful stuff. 3. Other People’s Lists: While it is hard work, and takes a lot of patience and persistence to succeed, approaching other significant list owners with either a joint venture offer or an offer to write content if they publish a newsletter can be a landslide a driving tonnes of traffic. Although this takes longer to set up, it is also more likely to generate server destroying levels of traffic if you do it right. 1. Focus On Micro-Moments: Most people will only take the time to visit your website during key moments in which they want to accomplish something. Google calls those intent-filled searches “micro-moments.” People turn to their smartphones to search for intent. Help people find your website in these micro-moments by optimising your website to answer questions, be resourceful and provide value. 2. Use sponsored social media posts: I tell my clients that when their church or ministry shows up in peoples’ newsfeeds if they show real value, people are more likely to visit their website to learn more. Sponsored social media posts are one way to do this. Pay to boost a live stream of your church services or perhaps the on-the-ground work of your ministry. 3. Leverage referral traffic from other websites: Understand the audience you’re trying to reach and the types of websites they are reading. Then determine whether these sites accept outside articles. If they do, familiarise yourself with their content. Then develop an idea or two for an article that would fit well within their content strategy and pitch the idea to the right editor. Strategically placing article developed by your organisation on another website often will send quality referral traffic back to your website. 1. Consolidate your site’s authority: Cleaning up the mess can determine your brand’s web presence and is important for centralising your site’s authority. Especially when competing in a hyper-local arena where every link is key to your success, redirecting old websites and landing pages from the dark ages of SEO to relevant content on your website can help consolidate your links, authority, and help take better control of your brand’s representation. Also be sure to take care of www redirects and multiple home page versions that could be cannibalising your authority as well. 2. Take advantage of the additional real estate Google offers you: Take advantage of every opportunity Google allows to increase the real estate your brand occupies on the search engine results page. If your brand has regular events, make sure they’re marked up with schema, so Google will present them to users before they even get on your site. Same thing goes for your phone number, business address, and social media profiles. You’d be surprised at how much interaction happens with your brand before a user even gets to your website. Hence, taking advantage of this is key to improving overall visibility and traffic to your site. Reach Out To Bloggers: A great way to increase organic traffic to your site is by reaching out to bloggers in your relevant industry to create a guest post for them. This will allow you to get exposed to a different audience, which means more eyeballs! In your guest post, you can also add a backlink to your site. This will do a couple different things. Firstly, this will increase both your domain authority and page authority (whatever page you’re linking to). BUT don’t always link to your homepage. Link to different pages to raise their page authority, which also ends up raising your domain authority. Secondly, this will create more traffic to your site. People who are interested in your blog post will be persuaded to click the backlink to your site and boom, you’ve got traffic! 1. Invite other people to guest blog on your website: Aside from creating fresh and unique content for your site, which is looked upon very favourably by Google, the guest writer is very likely to share their article on social media – which means they will be sharing your website for you – and also link to their own work on their website, which means you get a free link to help strengthen the domain authority of your site. 2. Try your hand at incorporating video into your upcoming content strategies: Organic and original website content that is fully optimised with keywords is essential for any successful website, but including videos on your site is an engaging way of making it so that your visitors aren’t stuck purely with reading endless amounts of text. Videos will make your website much more attractive to potential visitors and can be shared on social media with ease. 3. Ensure your website is responsive: To be able to work effectively on mobiles and tablets as well as PCs, your website has to be responsive. People are shopping on a wider variety of technology nowadays, and you need to make sure your website is easy to navigate and secure to shop on a large range of platforms. 1. Pay attention to your link profiles: Regularly go through the links that are pointing to your site and scout for spammy, low-quality links and disavow these links using Google Search Console. Also, have a good link strategy in place to ensure you are getting fresh links regularly. 2. On-site SEO: Your site speed and bounce rate need to be monitored. Your site should not take longer than 2-3 seconds to load, or you will lose visitors.They will bounce back to the SERPs, and this will, in turn, effect your bounce rate. Make sure your site is loading quickly and that when visitors land on your page, they are met with a great experience and kept on your site. 1. Partner with Brands in Adjacent Markets: Work with brands that don’t compete with you, but do appeal to your target market. This allows you to join forces with no concern that you’ll be fighting for the same customer. For example, to reach men interested in grooming products, we’ve worked with menswear designers and nutritional supplement brands. 2. Focus on Email Marketing: Improve your CTR on email blasts and you’ll see a considerable boost in traffic. Focus on this over social or SEO. You already have a direct connection with your email subscribers – they’re more likely to click on a link and visit your site than someone who stumbles upon your site on social media or Google. 3. Recycle Popular Blog Posts: Update or re-share your most popular blog posts on social media to boost traffic back to your site. Your new readers and customers will feel like they’re getting fresh content. And previous readers will be reminded of how valuable your content is. Either way, you get a boost in traffic – and without having to create any new content. Our favourite way to increase website traffic for our clients is to create either a funny or controversial roundup post around something current in their industry, and then promote that through social media. These types of posts tend to have a viral effect where there is engagement happening on them with either comments or shares. Pretty much any industry can ‘tap’ into something like this, you just need to know your industry and what’s going on within. 1. Use Monthly/Quarterly Themes for Digital Marketing: If you want to generate traffic and repeat visitors, consider building your digital calendar using themes for each month or quarter. Many companies don’t strategically think about the topics they share on their blog, social channels, or newsletters as long as it relates to their business. Yet, following a structured calendar that focuses on key sectors in your industry or offerings of your company, will create a more consistent message to your audience. These themes are important for developing a brand image and a cohesive marketing message. 2. Create Co-Branded Content: With your themes in mind, start looking at other companies or publishers that cover those topics and reach out to build a collaborative relationship. A great way to start a relationship with another brand or website is to offer a co-branded piece of content. Offer to work with them on whitepapers, infographics, webinars, or other multimedia forms of content. Discuss unique data points that they have or find a mutually beneficial topic within the scope of your theme. Co-branded, multimedia content is a great resource to generate web traffic because you’re able to divide the work (occasionally cost) that goes into producing the content and you’re extending the audience you can reach because that brand and publisher is likely to share it with their email lists, followers, and on their website. 3. Conduct Frequent Outreach: No matter how awesome your content is or how thematic, your reach is most always limited to your direct network. Rarely does it happen that you’ll see a huge uptick in traffic just from publishing a piece of content and sitting back. To drive meaningful traffic, you need to integrate outreach into your digital marketing. If you follow our tips above, after publishing the co-branded piece of content, you should then reach out to publishers that have covered similar topics in the past or ones that you think would find that content valuable. If you created an infographic, offer to let them syndicate the infographic or offer to provide a custom introduction to accompany the graphic. Outreach can help you generate buzz around your content and brand – while also leading to potential publisher relationships that can be used down the road. 1. Keep Your Platforms Updated: We recently decided to make the change from Magento 1.9 to 2.0. We knew that it would be a challenge, but decided that it was a smart investment. Not only do updated platforms often come with advanced protection against hackers and other such threats, but they also come with increased site speed. In the first week, we noticed a 25% uptick in traffic! 2. Be Selective With Links: Always check if a website that is linking to you or interested in doing so is worth your time. You can check for possible spam flags in Moz, as well as their DA and PA. It also helps if links are relevant to your website. If you see a low quality and potentially harmful website linking back to you, it’s definitely worth the time to either ask them to remove it or disavow it directly to Google. 1. Answers. Pixels. Retargeting! : Find niche questions that people search for regularly. Make sure Google displays an answer box in the search results for these questions. Review the page that currently ranks for these queries and publish a well-formatted article that has a chance of replacing them. Add Facebook remarketing pixels to the article and run highly targeted ad campaigns promoting the products or services to the users that visited the original article. 2. Facebook Groups: Set-up a niche-specific Facebook group where members can ask questions and get support. When appropriate, point them back to your site’s content if it provides answers to their queries. 3. Quick Win – Alltop Submission: Alltop is a content aggregator website for all types of web content. Simply submit your blog to it to increase the chance of getting found by people looking for content in your niche. 1. Use Reddit: We’ve found huge success using Reddit to drive traffic to our website, so much so that the platform now accounts for almost 50% of our overall traffic. The type of content that performs best on Reddit is either humorous or informational, and you need to avoid promotional content at all costs (unless you want backlash from the users). We started by producing simple memes, and have now expanded into creating informational pieces which result in traffic, links and social shares. The great thing about Reddit is that it has so many different communities (called ‘subreddits’), most of which are very active, and you can always find a subreddit that is relevant to the products or services that your business provides. 2. Google Plus: We’ve also used Google + extensively to drive traffic to our website. Many people assume that nobody uses Google +, but this couldn’t be further from the truth. There are so many active communities on the platform that it baffles me why more people don’t use Google + to drive traffic. Better still, some studies have shown that shares and ‘+1s’ from Google + can correlate with higher rankings, which is enough reason in itself for businesses to get active on the platform. 1. Email Marketing: A summary email to your mailing list is a great way to bring back old, and more engaged audiences. They can see your latest content and see you are still active. It also helps you to segment your marketing list by identifying those engaged with your campaigns and what content they are most interested in. For example, if they regularly click on a link about tax savings, you know this is a service they want, and you can tailor marketing messages to this. 2. Use PowerHours on Twitter to gain specific audiences: These are networking sessions on Twitter using a specific hashtag. There is usually one running at any time and range from industry specific to local networking sessions. Search for local power hours in your area or join BizHour or 1pmlunch. These can massively increase your Twitter following and direct potential customers to your website. 3. Newsjacking: Not just a good idea, it is great! Using trending news stories helps with short-term SEO and grabs an audience’s attention as they are actively trying to discover content related to a news story. But be careful. Don’t be too self-serving in the newsjacking article as this can backfire. Generating traffic is in no way an easy task to achieve. If you’re keen on driving quality, relevant traffic to your site, you have to commit to it. Be consistent with your blogging efforts and publish high-quality content that outweighs the work of others. Ensure your site is mobile-friendly, fast, secure and reliable. The last thing you’d want is for people to turn their back on your site and look for information elsewhere.